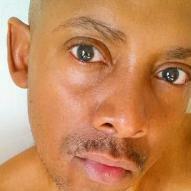 HICKSON: CEO OF GHETTOHEAT® WILL BE KICKING OF GAY PRIDE 2011, AS HE ATTENDS PHILADELPHIA BLACK GAY PRIDE 2011. HICKSON WILL BE SIGNING COPIES OF CONVICT'S CANDY, HARDER, AND GOD CREATED WOMAN, LONDON REIGN, SONZ OF DARKNESS & TANTRUM AT THE CELEBRATION SUNDAY, APRIL 24, 2011 FROM 5PM TO 10PM, AT THE GERSHMAN Y, LOCATED AT 401 SOUTH BROAD STREET. ON FRIDAY, APRIL 29, 2011, FROM 6PM TO 9PM THE FUN CONTINUES, AS HICKSON DOES IT AGAIN AT THE DOUBLETREE HOTEL, LOCATED AT 237 SOUTH BROAD STREET--ANOTHER AUTOGRAPHING EVENT. SEE YOU THERE!